The chilling phenomenon begins again. 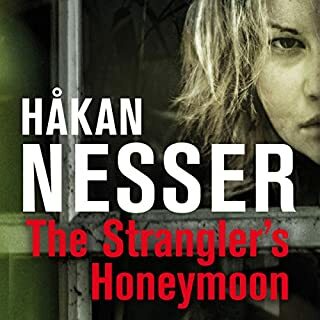 On a summer night the dead body of a woman is found on board an abandoned pleasure boat drifting around in the Stockholm archipelago. Her lungs are filled with brackish water, but there are no traces of this water on her clothes or other parts of her body. Detective Inspector Joona Linna takes up the case. Forensics state that it was a simple drowning, that she must have been pulled aboard the boat which explains the lack of brackish water. But Joona knows better and suspects something much more sinister. The next day a man is found dead in his state apartment in Stockholm. The man is hanging in a noose from the lamp-hook in the ceiling. How did it happen? The room has a high ceiling with no furniture, absolutely nothing to climb on. Nevertheless Linna is convinced that it is suicide. Of course he is right. The man has committed suicide, but this fact doesn't close the case. It is only a prelude to a dizzyingly intense and dangerous course of events. There are certain agreements which cannot be broken off, not even if you are dead. Non-stop Thrills- Written with a Film in Mind? 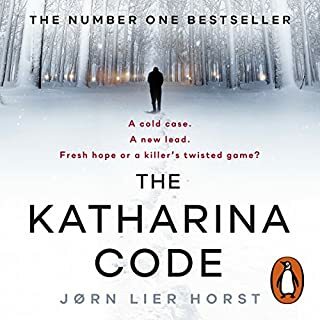 If you're looking for a book that's not long on character studies but is really rich in sheer thrills and action, then this could be the one for you. 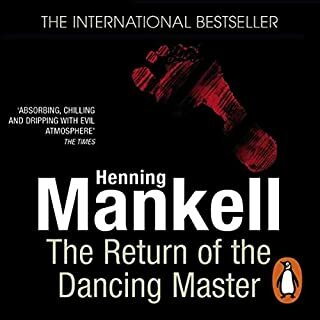 I was totally gripped by this novel from 'take-off to landing' and like all good thrillers, I just couldn't leave it alone! I could well imagine that the author(s) had the cinema in mind when they put this one together and it would make the transfer well I think. 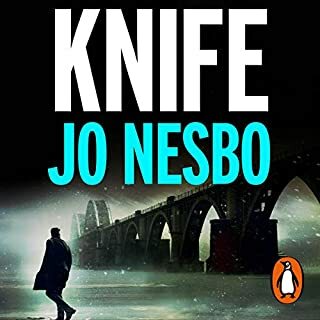 Central character Detective Joona Linna (a very sober Harry Hole type) is fascinating and potentially he could be compelling. Would just love to know more about him.....sometimes though you just can't have it all in one go, in one book. Sean Barrett is just SUPERB as always! What made the experience of listening to The Nightmare the most enjoyable? Apart from the main character there is not a great of character development, but there are some interesting characters that I hope will be developed in other books in the series. Great as always. He has made a good book even better. Brilliantly writen from first page to last. hold you throughout the lead detctive is clever and the villan rearly bad bad bad like a villan ought to be. not a book for the squeemish. I look forward to my next book by Kepler. 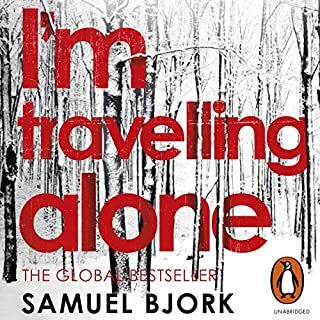 also the narration is spot on I love these scandinavin thrillers. Starts slowly but soon picks up the pace to become an interesting enough story. 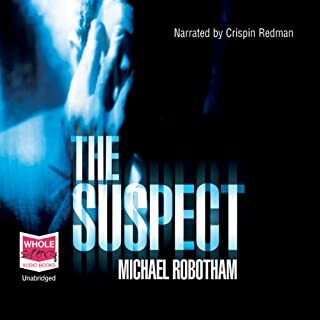 But only Sean Barrett's superb narration saves it from the vapid non-character of Jonna Linna and some substantial plot holes. 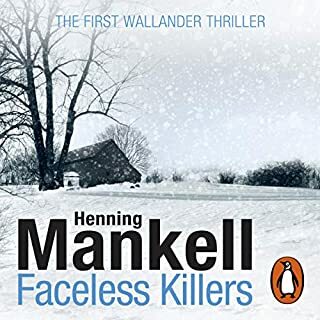 Fairly good - but Nesbo it ain't. What would have made The Nightmare better? It just isn't my sort of book. Has The Nightmare put you off other books in this genre? No. The Nightmare is one of those books with drawn out chases, shootouts, and totally over the top co-incidences. I enjoy a good and serious murder mystery but this seems to have been written with a view to having an all guns blazing film. And I don't enjoy those. The detectives were OK I suppose but it is a shame that the tough female cop was described as looking like a fairy princess with braided blonde hair. The hard bitten male cop of course had a tragedy in his past. 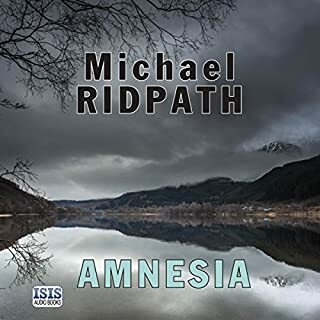 The replacement CEO of the arms exporting company was a superb violinist (with a tragedy which had warped his life) He hadn't played for decades but could still pick up a violin and from memory play an impossibly hard solo. The big villain collected Paganini violins. The gunman who pursued a fleeing couple for days and days and days, murdering many at the same time. An impossible shoot out, A sadistic ex TV presenter Oh many more. Oh yawn. If you like the things I have been describing then the book is for you. 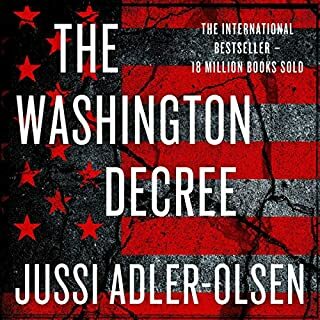 PLEASE Audible get the complete series! Sean Barrett does yet another fantastic job of bringing the book to life. His ability to move into the body of a character is unbelievable and is the main reason I bought this book at all. 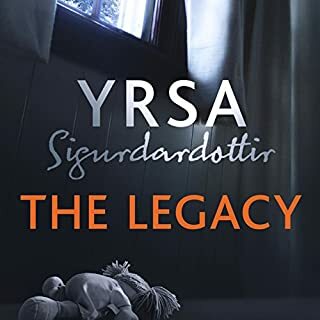 That said the author has created what I would describe as a wonderful book and, were it not for Audibles inability to giev me a complete series....... I would love to read the next installment. Unfortunately thats not the case and so yet another series is started and will have to be found elsewhere to complete. 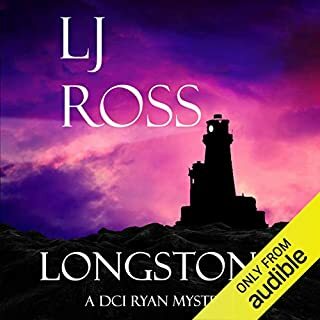 Sean Barrett elevated the story beyond the level of the Hypnotist, the first in the series and to my mind defines Joona Lina the lead detective. 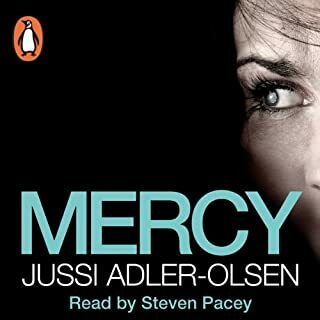 It pains me to say that occasionally the reading by Saul Reichlin makes me think this detective sounds like Laura Bakker (from the Hewson books) and I don't see the expected Finnish accent . 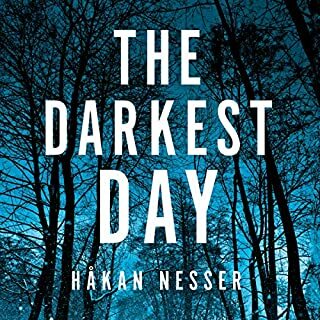 This is a thoroughly entertaining scandi-crime tale. Very much in the Jo Nesbo mould (without the serial killers and with a more politically related storyline). There are some implausabilities every now and again but overall it is a rollicking and highly enjoyable story. Sean Barrett is one of my favourite narrators and he does another great job to boot. Joona Linna investigates an illegal arms dealer after a corrupt government official commits suicide to avoid facing his worst nightmare. 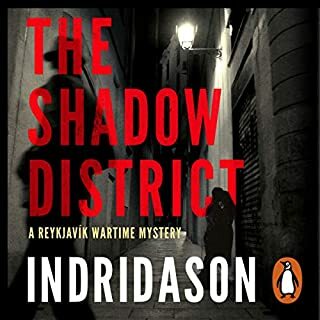 An incriminating photograph of an illegal arms deal is discovered and Joona Linna decides to investigate. 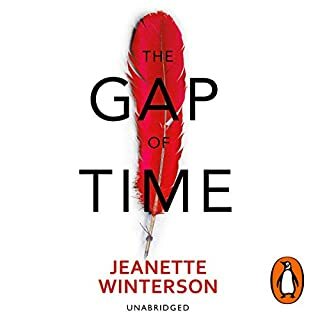 A fantastic listen and read. 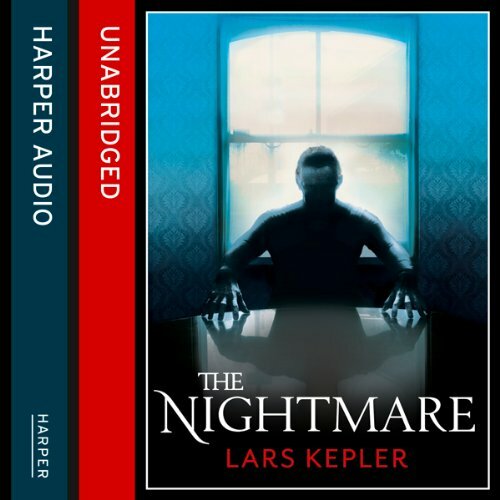 Lars Kepler write brilliantly together and Sean Barrett gives an excellent performance as the narrator. 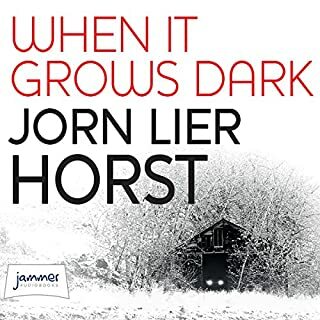 "I suppose the the title held a clue"
I love my Scandinavian crime but had a to drop out of this one before the end. 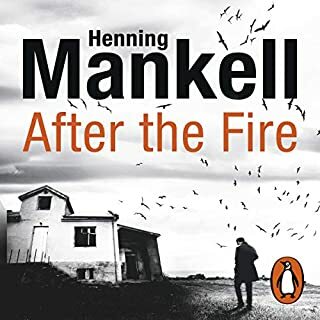 Great main character, perfectly narrated by the master but too violent, too many extra characters introduced just so they could be tortured or done away with - too much Mr Kepler. It actually reduces the tension and increases the eye rolling. I suppose the title held a clue. Should have paid more attention.